A couple of days back, Ripard Teg wrote a highly contentious piece on ganking and non-consensual PvP in high sec. The post in question caused much debate on #tweetfleet which eventually led to Poetic Stanziel writing a response on his blog(dead link) today. Now, my first reaction was to side with Poetic. I understand Ripard’s rationale in wanting new players to stick around – they are, after all, the future lifeblood of the game. That said, I would rather they stuck around in the game I know and love as Eve Online, not some bastardised, hippy variant where we all hold hands and sing kumbaya. There has to be a balance between maintaining the fundamental nature of what Eve ‘is’ and ensuring new players keep buying into it. 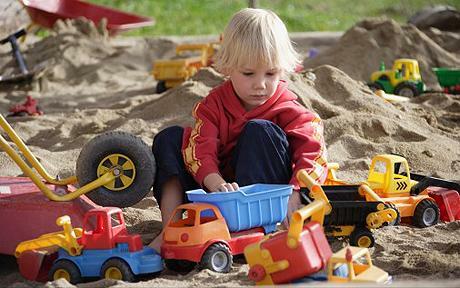 The fundamental nature of Eve is a that of a sandbox. A place where an individual (as far as technicalities allow) can live out a life they wish in a vast digital playground. Poetic’s piece above suggests that high sec pilots need null to survive in this sandbox. That is only a half truth. The relationship is symbiotic. High sec miners industrialists need to keep manufacturing hulls and modules to satisfy the needs of those PvPing in null, while the null sec PvPers can’t shoot anything without the hard work of those in >0.5. I think we (and by ‘we’ I mean both commentators on this issue and CCP itself) need to be very careful that we aren’t putting too much undue influence on what players in Eve choose for their own playstyle and careers. Some of us want to see high sec a safer place for those who choose to live there. Others, such as Poetic above (and myself at times), feel we should be pushing these players towards null sec for a truer experience of what Eve is. It’s all too easy to dismiss high sec as not part of the sandbox because those of us in null deride what Eve is in >0.5. And while they tend to be a less vociferous bunch in the areas I tend to reside in out of game (#tweetfleet / Kugu / Jabber), I’m sure they have contrasting opinions to what life is like in 0.0. What is vital is that all parts of the game – WH, null, low, high – are all considered and treated equally. The mantra that is often echoed is that Eve isn’t a very good game. In pure gameplay terms, it’s pretty bad. What keeps us all playing are the stories and social interactions. Empires falling, famous ganks, the dude who takes out a Tengu in a Wolf, that great market crash in mineral prices – all these things are the grains that form the sandbox. There are things which need fixing in null. There are things which need fixing in high. The most important thing is that all areas are treated equally. The moment null sec players put undue influence on CCP to make high sec worse (or better for that matter) you no longer have a sandbox. And when Eve is no longer a sandbox, what you are left with is faulty, overly-complex, obtuse game with little to show for itself. Fix the problems in all the different parts of Eve, make different playstyles in different places equally attractive with balanced risk and reward and then let players find their own way organically. If you fix it, they will come.